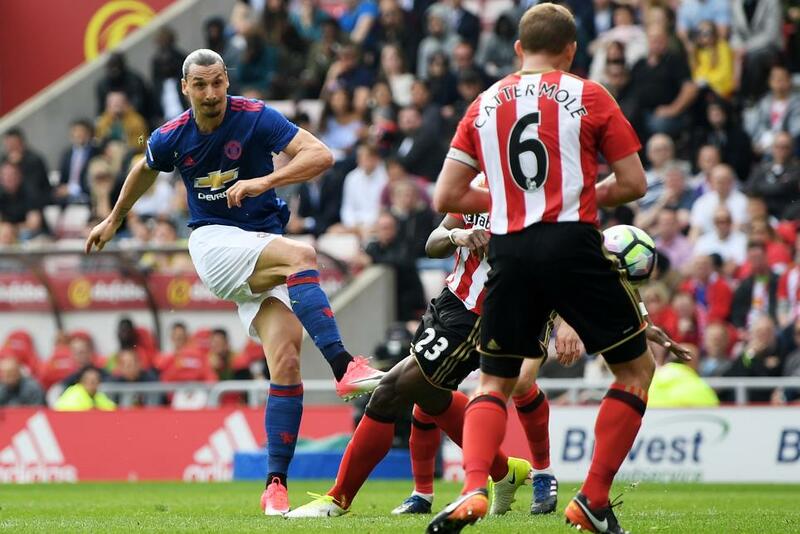 Manchester United boosted their hopes of a top-four place in the Premier League by beating 10-man Sunderland 3-0 at the Stadium of Light. Zlatan Ibrahimovic set them on their way with a superb curling finish from Ander Herrera's pass. A foul on Herrera resulted in a red card for Sunderland's Sebastian Larsson shortly before half-time. Man Utd went 2-0 up soon after the break, with Henrikh Mkhitaryan slotting in after a fine team move, before Ibrahimovic teed up Marcus Rashford to fire in a late third. The win leaves United four points behind fourth-placed Manchester City with a match in hand, while Sunderland remain bottom, 10 points adrift of safety.